Saturday 10th May, 12 noon until 12 midnight, sees a big BiFest festival in Swansea. Entry: £2 daytime only, £3 evening live music event only, £4 for both (paid together). Under 15s free, but must be accompanied by a responsible adult. BiFests are one-day events celebrating bisexuality, for bisexuals and bi-friendly people. Originating in London, it has now spread to several other UK locations. 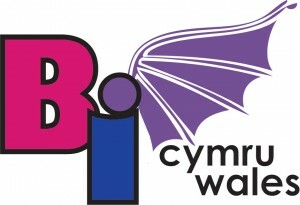 Wales has had a BiFest since 2010, although it was originally in Cardiff in 2010 and 2011. After a year off in 2012 BiFest Wales has moved to Swansea, where the support of Swansea YMCA has helped us to keep entry prices down and make the event affordable. After a successful, if small event, on 5th October 2013 BiFest Wales returns to Swansea YMCA on Saturday 10th May 2014. Community groups, charities and public sector organisations are welcome to bring along 1 or 2 types of leaflets for the community information area of the daytime event. We’re also looking for volunteers and raffle prizes. Registration from 12 noon. First workshop 12:30pm. 6:30pm finish. Entry: £2 daytime only. £4 if you pay for the daytime and evening events together. Pay on the door. Babies, children and young people under 15 welcome with a responsible adult and get free entry. Includes refreshments throughout the daytime event. Doors 7:30pm. First live music act: 8pm. Ends: 12 midnight. Entry: £3 evening only, or £4 for day and evening events. Pay on the door. There will be a bar in the Theatre, open throughout the evening. An exciting variety of live music and local DJs are supporting BiFest Wales 2014. Will I be welcome at BiFest Wales? And anyone who’s interested in coming along and learning more or sharing in the event, whether bi, lesbian, gay, straight, or another term.